Cyan Worlds' famous puzzle adventure is brought back to life in stunning 3D. I didn't feel all that old this morning until I dug out the release details of Cyan's fully 3D iPad version of the classic PC adventure game Myst. "This is not your father's Myst..." almost certainly isn't the first thing you want to read before you've even had a cup of coffee. What is Myst? Released in 1993 and relished by a 15-year-old John Bedford, it's the sort of game that wouldn't even get passed the pitching process with any publisher these days. It would be wrong to say it was ahead of its time because, sequels aside, there's never really been anything like it since. A lonely wander through a world of puzzling mysteries, eerie and long-departed citizens, and ancient machinery, developer Cyan went to the dictionary and re-wrote the entry for 'Atmosphere' with Myst. Myst is now even prettier in motion. Where nearly twenty years ago the story of this most peculiar world was unfurled through static screens that took you many meters forward with a click of the mouse (think a less fluid Google Street View and you'll get the idea), realMyst has been recreated as a fully flowing 3D environment that you can wander endlessly around. And what a job they've done. Despite a lengthy initial loading screen, and occasional hitches as you progress further in the world, the touchscreen controls work very competently indeed. A gentle press moves your first-person viewpoint forward in the chosen direction, while levers are operated with up and down swipes. Navigation isn't perfect but it's far from problematic. Just a little slow. It's an isolated, cold, and eternally threatening environment. Natural wonders meet ancient civilizations. 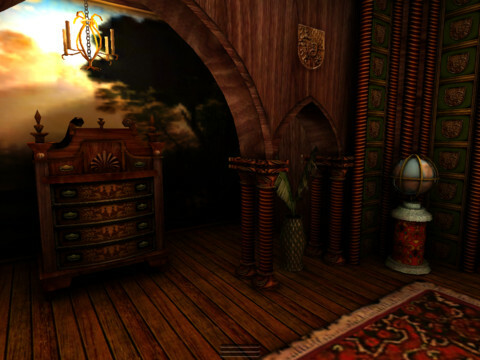 Stone chapel side-rooms can hold an astronomical time machine, while a wooden waterwheel trundles on in another world that lies just behind Myst's invisible curtains. 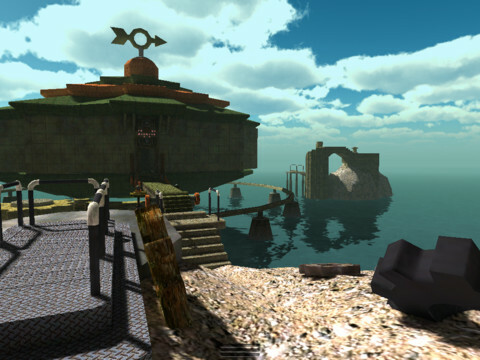 Exploration and experimentation triumph over explicit explanation, and the eclectic mix of Myst's puzzles, environments and genres are unrivaled. If nothing else, it serves to remind us just how much gaming has shied away from its potential in the last 20 years. Everything in the game has a purpose of course: the books that litter the world reveal clues about how exactly the machinery works, notes are left behind that hint at the solutions to musical puzzles, and diagrams give essential hints on how to twist and turn the monuments and architecture of the world. 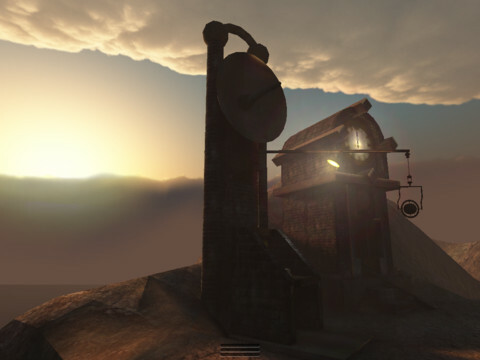 Exploration and experimentation are key when solving realMyst's challenging puzzles. Nothing would be more annoying than for someone to logically reel out a list of how exactly this all ties together, and I'm not going to be the man that ruins it for you. Suffice to say that as a mystery within a mystery, Myst (I'm not going for the obvious pun) is unsurpassed in gaming. I'm not sure there are all that many fathers out there who both loved the original and now have children of an age ready to take on the challenges of Myst, but I'll say this: if you missed out on the game the first time around, or simply came to gaming later on in life, this is both an excellent and depressing example of how far games could and should have evolved by 2012. What's Hot: Incredible atmosphere, challenging puzzles, and a fascinating universe. The gaming equivalent of indulgent mood-music. What's Not: The text in books should be sharper, there's a little hitching in the environment loading, and you may already know Myst too well.